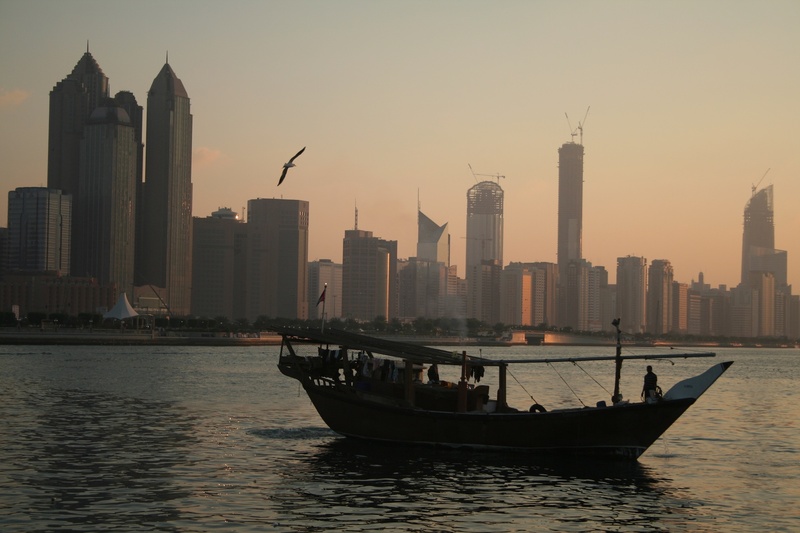 Emirati stock exchange: the Dhow Jones. 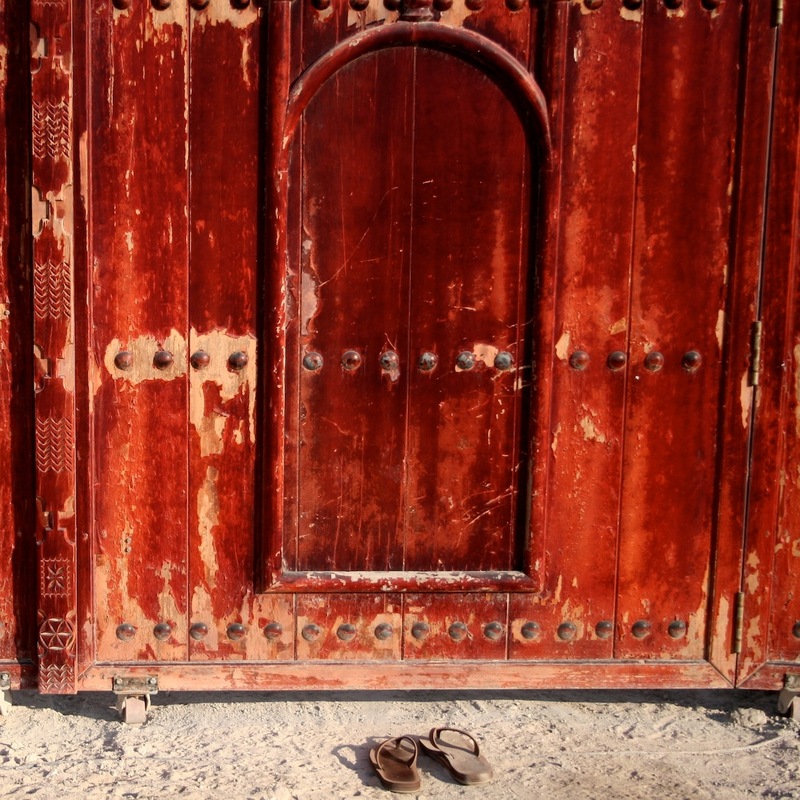 Emirati wedding gift: a dhowry. The sun sets over the port. — Mina, Abu Dhabi, U.A.E. 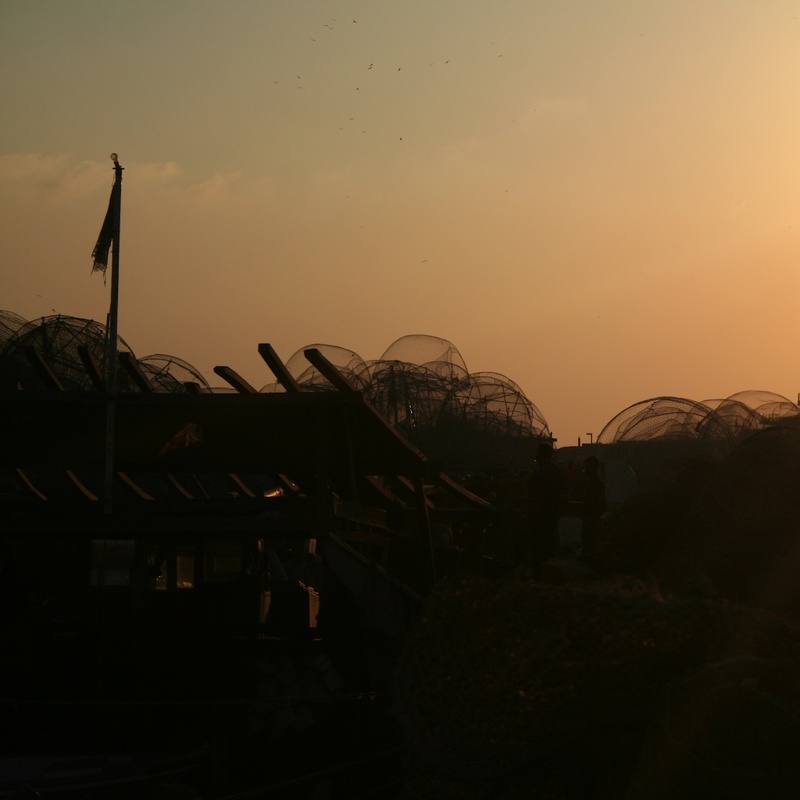 A fisherman sits on the wharf at the end of the day. — Outside the Fish Market, Mina, Abu Dhabi, U.A.E. 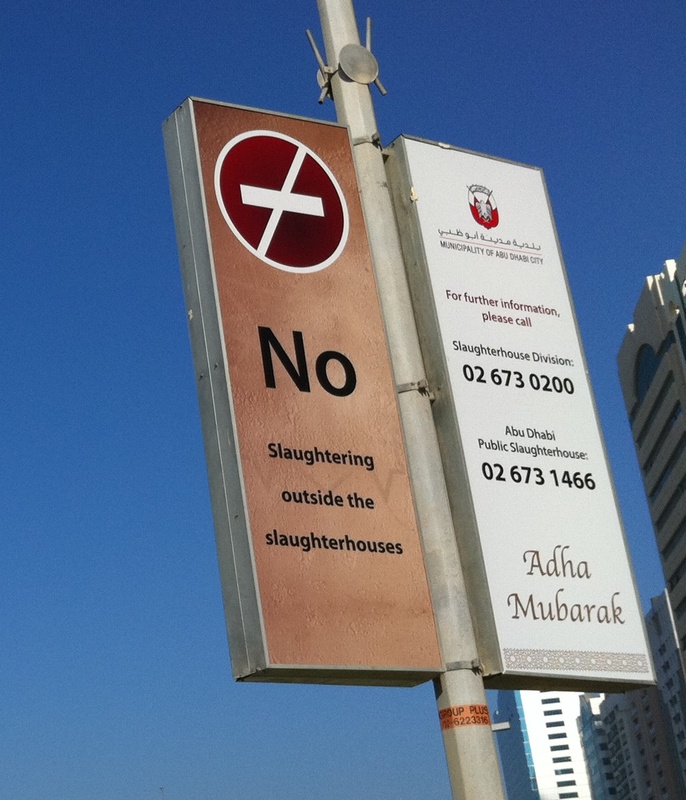 — Airport Road, Abu Dhabi, U.A.E. 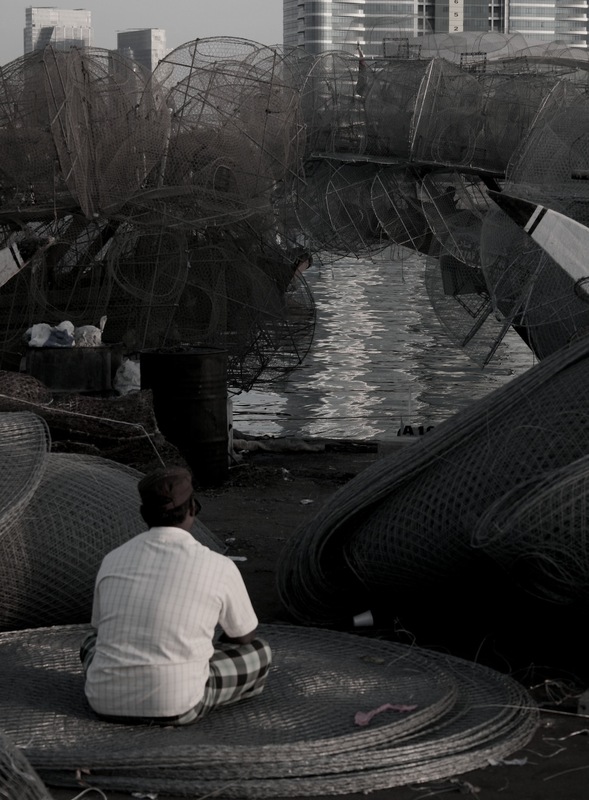 Fish cages — Mina Wharf, Abu Dhabi, U.A.E. 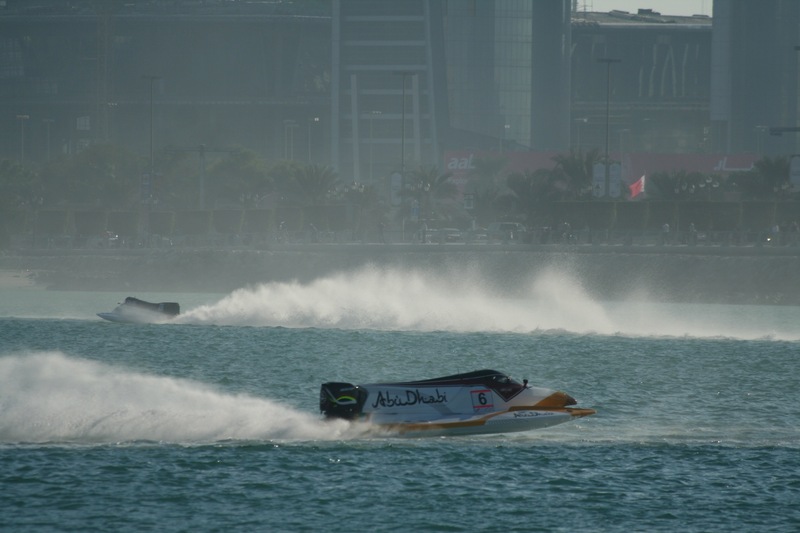 F1H2O Powerboats — the Corniche, Abu Dhabi, U.A.E. 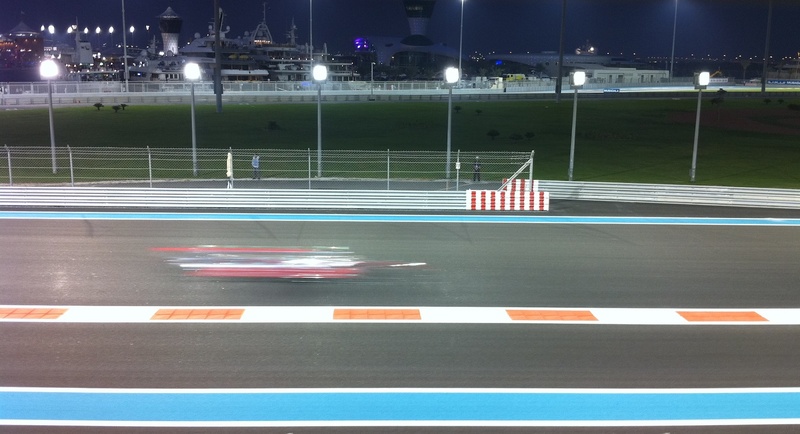 — Yas Island Marina Circuit, Abu Dhabi, U.A.E. 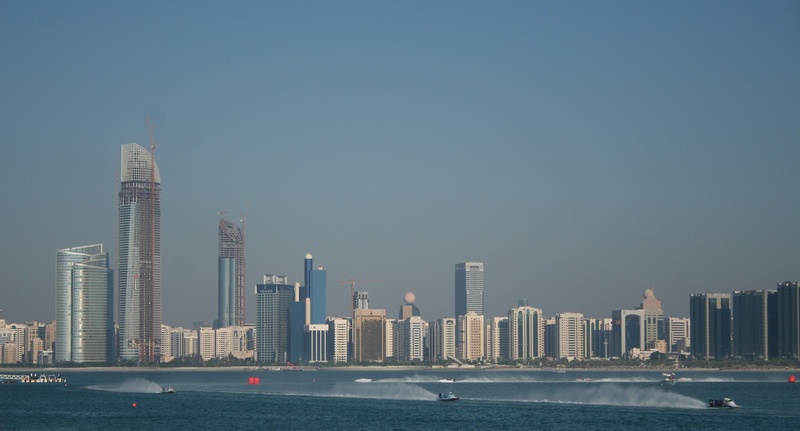 — Al Bateen Marina, Abu Dhabi, U.A.E.